EpiPen Price Gouging is Old News – Run For Your Life! On Thursday, Mylan announced a series of steps that will make its EpiPen more affordable for some patients. 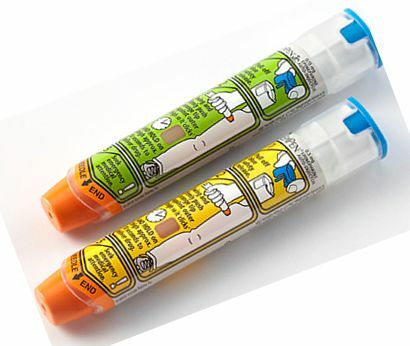 Over the past few years, Mylan had raised a standard two-pack of EpiPens to roughly $600. It had cost $100 in 2009. Then, following a recent uproar, including a public tongue-lashing from Hillary Clinton and a US Senator whose daughter uses the product, Mylan NV (MYL) said Wednesday it would help reduce the cost of the emergency allergy drug for people who are struggling to afford it. Clinton, for her part, became excoriated Mylan’s “price gouging,” kicking off another selling spree on Wall Street, where Mylan’s stock has plummeted roughly 11% and the Nasdaq Biotech index saw a 3.4% decline, which was the worst of the summer. In a press release, Mylan said it would provide instant savings cards worth $300 to patients who have to pay full price for the drug out of pocket. That amounts to about a 50% price cut for people without insurance or for patients with high deductible plans. In the course of Canadian coverage, it was assumed that Americans would be travelling north to grab cheaper EpiPens. And this is far from new. 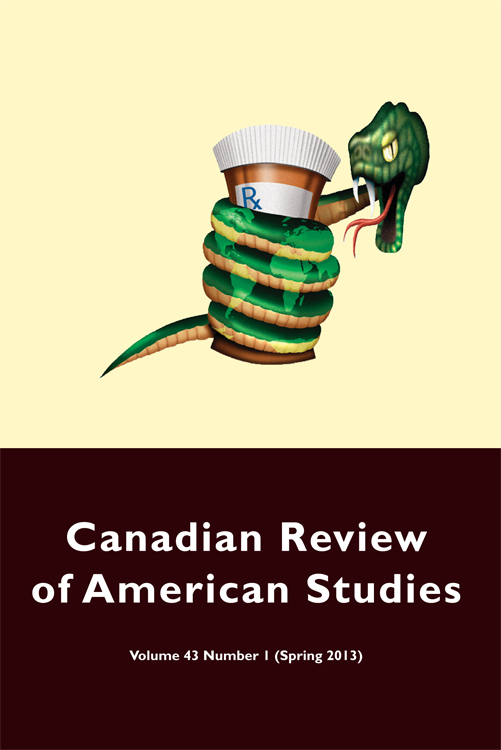 In 2013, I wrote about Americans purchasing pharmaceuticals from Canadian stores in Canadian Review of American Studies. The paper was called The Maple Peril and it explored the practice of cross-border drug reimportation, and considered the Bush and Clinton administration’s policies regarding the necessary balance between drug access, affordability, and safety. In the 1990s, lower drug prices in Canada forged a strong relationship between American consumers and the Canadian industry, leading to the expansion of illegal cross-border reimportation. This occurred in person or through Internet pharmacies. In Canada, the Patented Medicines Price Review Board (PMPRB) imposes federal price regulations, but a number of other reasons also drive down Canadian drug prices. For instance, lower prices on Canadian brand-name drugs are likely the normal result of market economics; that is, prices are matched to different supply and demand dynamics in the Canadian and American markets. In 2001, as President Bush took office, thanks to Canadian regulations— as well as a weak Canadian dollar—Americans were saving 50 per cent to 70 per cent filling their prescriptions in Canada. In 2004, Canada’s review board reported that Americans paid an average 67 per cent more than Canadians for patented drugs; in 2003, while a three-month prescription for Merck’s cholesterol reducer Zocor cost $172 in Canada, American patients paid $328 for the same pills. The antiretroviral drug ritonavir (Norvir) cost as little as a $700 per year in Canada as opposed to $7,800 per year in the United States. From the consumer’s standpoint, it was thus eminently rational – or, smart – to seek alternatives to American drugs. And it should come as no shock that drug prices became a major political and economic question mark within the Bush administration. The troubling matter of drug costs was first contested in the 1950s. Historian David Herzberg argues that ‘‘increasing competition and ever more intense advertising transformed the character of the once staid prescription drug business’’. The new, transformed pharmaceutical industry was challenged in the political arena when, in December 1959, Senator Estes Kefauver (D-TN) took up the general issue of administered prices. Through the Senate Subcommittee on Antitrust and Monopoly he investigated a host of industries, including ‘‘bread, milk, auto, steel, and electrical manufacturing’’ industries. He also focused on the American pharmaceutical industry’s monopoly and revealed a ‘‘series of price-fixing and collusion scandals’’. During the ten-month hearings, 150 witnesses testified about cortical steroids, tranquilizers, antibiotics, and oral antidiabetics. Kefauver, who ‘‘favored an economy in which competition among small producers set prices,’’ asserted that the drug industry practised ‘‘price leadership’’ and suffered little foreign or domestic competition. His two principal experts, Dr. John Blair and Paul Rand Dixon, were media savvy and compared a drug’s production costs to its wholesale and retail prices; thereafter they brusquely questioned representatives of the pharmaceutical industry and neatly underlined the fact that consumers in the United States were paying a hefty sum for their medications. In one extraordinary example, the markup was 7000 per cent. pricing reforms, were excluded from the final product. Still, Kefauver’s legislation had a lasting impact. It increased the power of the FDA—the ultimate authority on whether a drug goes to market—and mandated a drug be both safe and effective; the new law also established standardized manufacturing procedures. According to physician Jerry Avorn, the new law represented a ‘‘watershed moment in the nation’s approach to medications.’’ The legislation ‘‘completely changed the way doctors and patients thought about drugs’’. Just as important, Kefauver (and his pricing hearings) was the forerunner for a cascading set of consumer oriented hearings which focused on the growing power of the pharmaceutical industry’s advertising as well as the addictive nature of stimulants and sedatives. While President Bush adopted an amorphous position on reimportation, his appointments at the HHS and FDA did not. In 2002, Tommy Thompson, who had already scuttled the legalization of reimportation, combined US national security imperatives and a policy opposing counterfeit drugs. In his estimation, drugs reimported to the United States from Canada constituted a clear and present danger to American consumers and, building his case, drew parallels with the new War on Terror launched after 11 September 2001. Thompson warned that ‘‘opening our borders to reimported drugs potentially could increase the flow of counterfeit drugs, cheap foreign copies of FDA-approved drugs [what the rest of us call generics], expired and contaminated drugs, and drugs stored under inappropriate and unsafe conditions.’’ Thompson’s argument concluded with a reference to the recent terrorist threats in Washington DC and around the country: ‘‘In light of the anthrax attacks of last fall, that’s a risk we simply cannot take’’. In 2002, FDA officials underscored the necessity for vigilance against the dangers of drug importation. After chronicling the FDA’s recent legal struggles with counterfeit criminal enterprises in Alabama, Los Angeles, and Texas, one FDA leader recounted the seriousness of drug importation’s risks to public health. ‘‘Throwing open the door to drugs purchased by individuals directly from Canadian sellers,’’ Hubbard said of potential legalized importation, ‘‘will encourage unscrupulous individuals to devise schemes using Canada as a transshipment point for dangerous products from all around the globe’’. Americans from very different kinds of drugs. 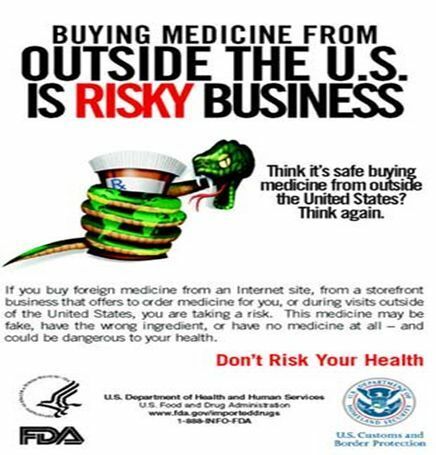 The ad warned, furthermore, that allowing Americans to fill prescriptions in Canada ‘‘could open America’s medicine cabinets to an influx of dangerous drugs,’’ and it closed with an appeal to ‘‘Keep Black Market Drugs Out of America’’. Essentially, the recent story of the EpiPen is far from new. Thanks for reading!